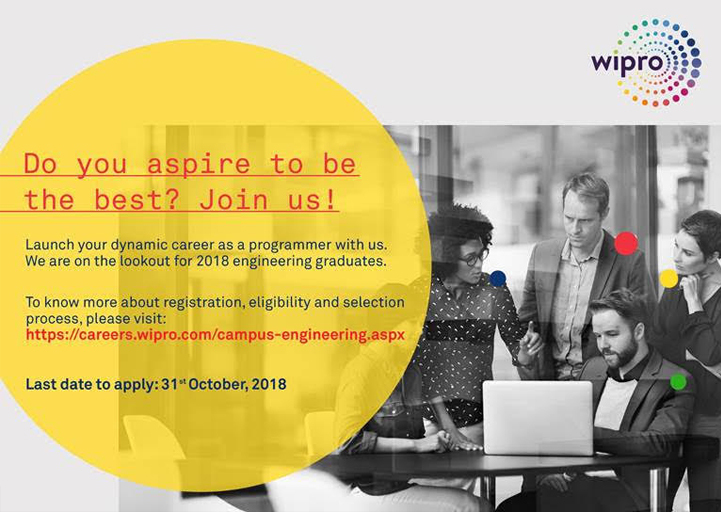 We are pleased to announce that Wipro Limited is going to conduct an off campus placement drive for B.E/B.Tech, (CS/ IT/ ECE/ EEE/ E&I/ Mechanical/ Automobile/ Production Engineering/ Aeronautical/ Mechatronics) students of 2018 passing out batch. 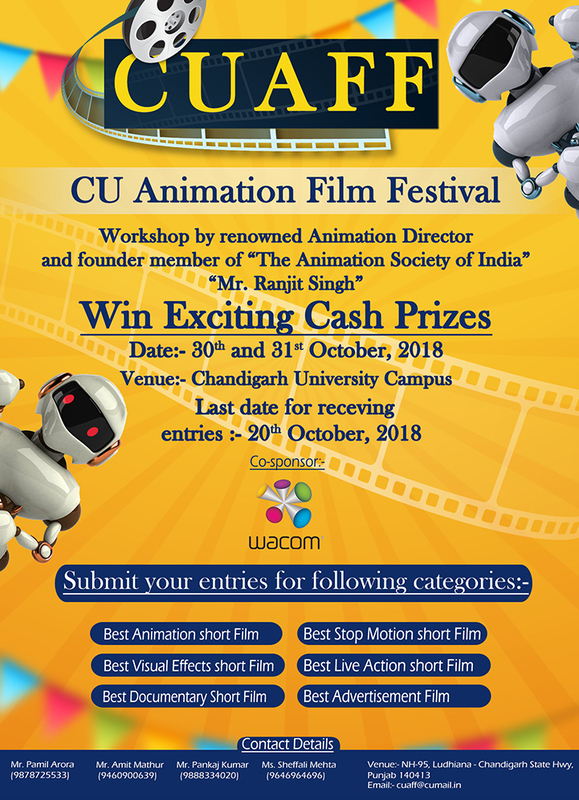 The details are as given below. Wipro Ltd (NYSE: WIT) is a global information technology, consulting and outsourcing company with services spanning financial services, retail, transportation, manufacturing, healthcare services, energy and utilities, technology, telecom and media. Serving clients in 175+ cities across 6 continents, we help customers do business better by leveraging our industry-wide experience, deep technology expertise, comprehensive portfolio of services and vertically aligned business model. 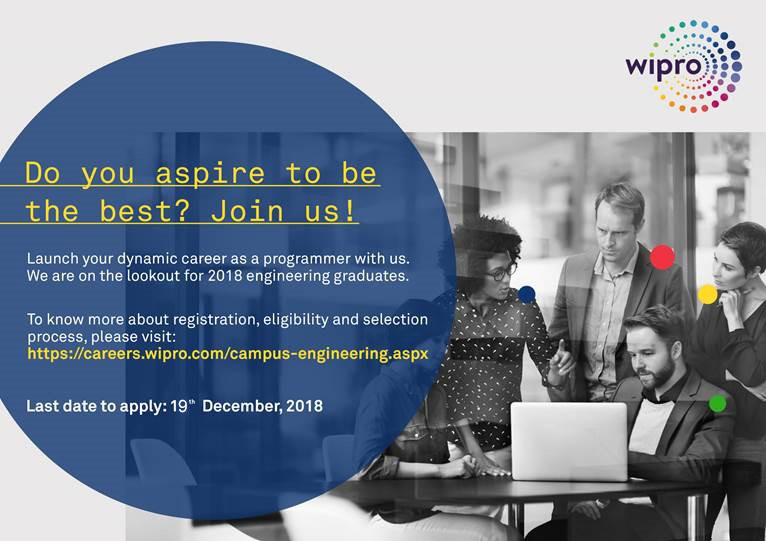 Wipro hires the best emerging talent from engineering institutes across the nation. Engineers from campus form a large portion of the new workforce entering Wipro, every year. These bright young minds are put through Wipro's world-class training programmes to further equip them with the tools required to excel in their chosen field. Wipro believes in agile growth, and it is the constant endeavor of Wipro to bring out the best in you. This opportunity ensures the holistic development of every student, and provides a platform to launch a successful career as a programmer. - Should be from a Full-time Degree course recognized by the Central/State Government of India. - Syntactical error correction i.e. to correct the syntax of the given code without changing its logic. - Logical error correction i.e. to fix all logical errors in the given code. - Code reuse i.e. to complete the given code by reusing existing functions/ helper code.